Beautiful Historic Home in the Heart of Lexington Village! This Victorian Italianate House is a Registered State Historical Home. Formerly owned by Civil War Captain Rudolph Papst. A labor of love has kept the character of the 1870’s, yet all the conveniences of today. Centrally located in the heart of Lexington Village. Walking distance to Downtown Shopping, Restaurants, Parks, and Beach. 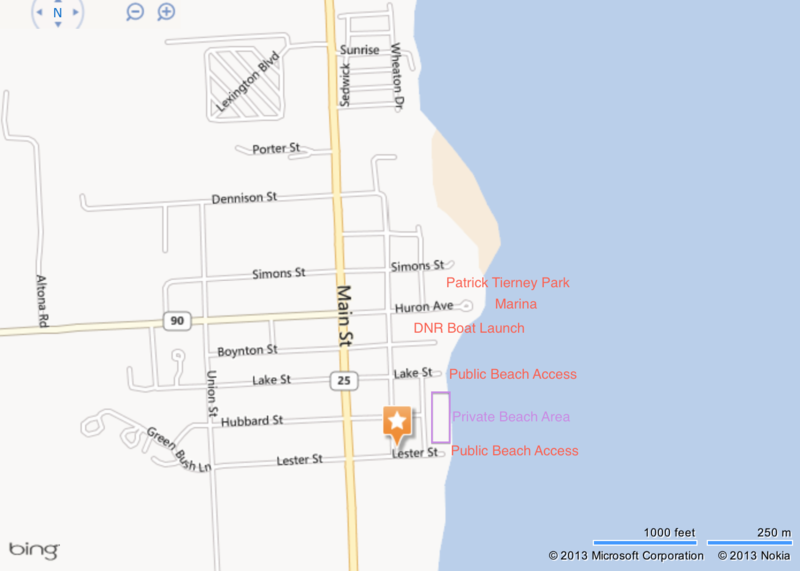 The property is one block from a 60′ public access at the end of Lester St. A public beach is two blocks north, at the end of Lake St. 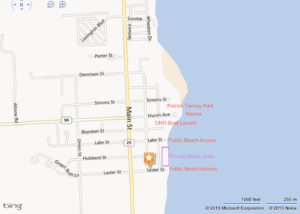 The DNR Boat launch is 3 blocks north, at the end of Boynton St, the Marina is 5 blocks away, at the end of Huron Ave. The Patrick Tierney Park entrance is only 6 blocks away, (located at the end of Simons St). The Park has a long stretch of sandy beach, playground equipment, picnic area and the break wall to walk. It’s only 4 short blocks to the Lexington Village Theatre. There’s plenty of space for plenty of fun! Plenty of parking. Long half circle drives for easy access in and out with a trailered boat. On a corner lot just a few steps from Lake Huron. 4 Bedrooms upstairs, and 1 bedroom main floor. 3 bathrooms upstairs, one bathroom main floor, (2 with showers, 2 with antique tubs). All Bed Linens, Pillows, and Towels are provided. Living Room, Foyer, Laundry Room with washer & dryer. A beautiful 16 x 25 Cedar Deck with a Natural Gas Grill, Granite Counter and Outdoor Sink. Fully Equipped Kitchen with many extras, Dining Room, (combined seating of 12 for Kitchen and Dining Room). Great place for scrapbooking retreats, (Kitchen table 82′, Dining Room table 102′). Create your own retreat with family and friends! Three Bathrooms are upstairs and one bathroom is on the first floor. Both showers are located upstairs. Towels, washcloths, and soap are provided. Baby wipes for makeup removal are provided. We do suggest you bring your own makeup removal washcloths if you prefer to use cloth. Dining: Large tables in both the Kitchen (84′ table if the leaf is added by request) and the Dining Room (102′ table). Combined seating for 12. Stove / Oven / Toaster / Microwave / Dishwasher: Soap provided. Dishes & Utensils: You will be pleasantly surprised with the extras available for your use. Wine opener, wine glasses, cheese grater, hand can opener, tongs, scissors, extension cord, dish soap, dishwasher soap. Pantry Items: Sugar, salt, pepper and a variety of spices. Napkins, paper towel, partial rolls of wraps (foil, plastic) and parchment paper. Air Conditioning: Window air conditioners in all bedrooms. 3 additional air conditioners downstairs. The house has all new windows and is very well insulated, which keeps the house cool and comfortable. Deck: Natural Gas Grill, Outdoor counter with sink. Table with 6 outdoor chairs and extra bench seating. You’re going to love this! Porch & Patio: Quiet Garden Space Seating. Parking: Half circle drive. Easy in and easy out for trailered boats or jet skis. 6 vehicle limit, please. This is not a PARRTAAAAY house. It is located in a residential neighborhood and we ask that our guests are respectful to the neighborhood. With that said, there is no minimum age limit. We love animals, but animal hair often burrows its way into carpet and furniture. So, this house is clean and animal hair free. Personal Checks 30 days in advance (preferred payment). Post Office or Bank Money Orders, Chase Quick Pay, Credit Card, Cash. Please contact us for more payment information. Excellent rental. Cindy thought of everything one could possibly need. Location is quiet and home and grounds are beautiful and well-maintained. Would stay again. We recently had a family reunion at this property. The house was in great condition, and it fit our needs extremely well (number of rooms & bathrooms, location, etc.) Cindy was a wonderful and we have only great things to say! Thank you! The house and yard was just perfect for our extended family vacation. We totaled 8 counting grandkids. The house was spacious and well equipped with modern necessities like wifi. Wendy is a terrific landlord: very attentive and helpful. We enjoyed our stay here so much last 4th of July weekend that we decided to return again this year. The house provides a perfect setting for relaxing and we had 3 other couples join us for portions of the week as well as visits from our boating friends staying at the marina. Everyone was impressed with the accommodations. We have signed up again for next year! If your looking for a family rental home in Lexington Michigan, search no further. This is a wonderful place to stay! Cindy and Glen make great hosts! It is close to everything you will need for everyone! I would highly recommend this family-friendly rental home in Lexington MI to EVERYONE! Families with young children, Girls getaway, Adventure seekers, Age 55+, Romantic getaway, Families with teenagers! 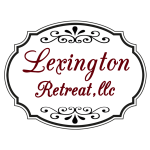 If you happen to need lodging in Lexington or the surrounding area, this home is a choice you won’t regret. My family and I (nine women) had the pleasure of staying at this house and absolutely loved it. We had a great experience from the moment we arrived to the moment we left. The owner is extremely friendly, was flexible to work with and overall has a great personality. She lives fairly close so was able to make sure all our needs were met (which were not many as the house is VERY well equipped). She enthusiastically fulfilled our requests (and comments). We remarked to her that a larger garbage can and a rubber spatula would be nice for the next guests. We returned from a trip to town and found both items on the porch. The added touch she provides makes it feel like home. We rented the house over the Labor Day weekend and absolutely loved it! The house is very family friendly and had everything we needed. It was close to the downtown, walking distance for the beach and the park. We didn’t have to use the car, we walked everywhere. The owners are so great, they gave us a tour of the house, explained everything we needed to know, and were just a phone call away for any questions. We would definitely recommend this place to anyone. You will enjoy it! We booked the best week for many reasons! The art fair was in town when we got there. Easy walk to the town with a tasty lunch at Sweetwater. The home was immaculate and the grounds are beautiful. So peaceful. The weather was also perfect, but if we’d had a rainy day, it would have been a lovely day for reading…didn’t happen. We walked everywhere! Enjoyed the local neighborhoods and beautiful homes along with the beach and gorgeous harbor. The town of Lexington is so quaint and just comes alive in the summer. Great music and local free concerts add to the fun. Port Huron is just a 20 minute drive, which was perfect as our two brothers live there and were able to pop out for dinner. I really can’t say enough about the beautiful historic home. Needless to say, we’ve already booked the same week for next year. Sorry, first week of August is gone! ~ Julie Ft. Wayne IN.